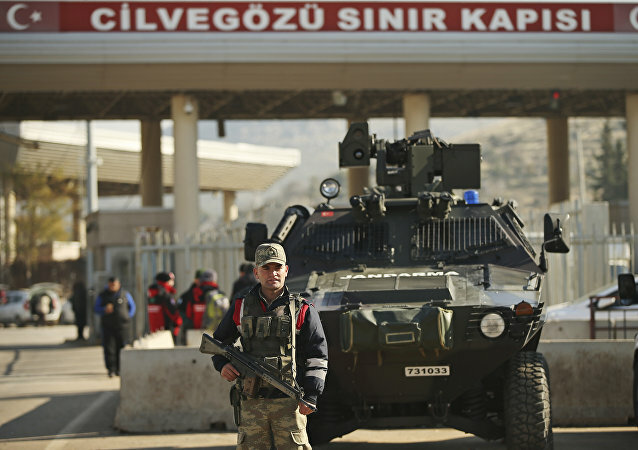 MOSCOW (Sputnik) - Turkish armed forces have deployed over 20 armored vehicles along the Syrian border on Monday afternoon, local media reported. Russia's Defense Ministry has released a video of airstrikes against positions of terrorists in the Syrian province of Idlib. 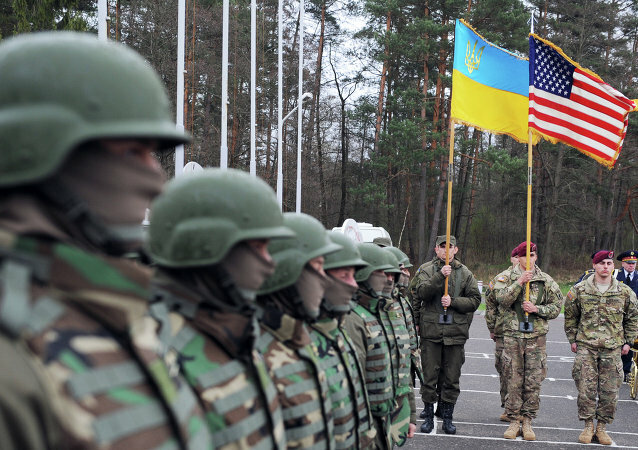 US Anti-Tank Missiles for Ukraine: Will It Just Be the Beginning? 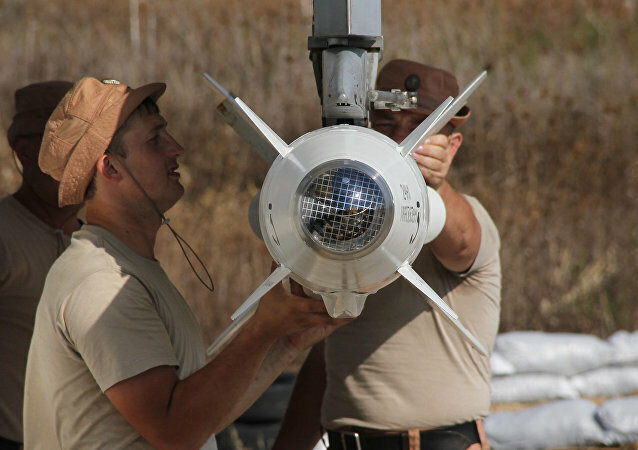 The delivery of US anti-tank guided missiles to Ukraine may be America's first step in supplying the Ukrainian army with American lethal weapons, a Russian military expert told Sputnik. While war is raging in many regions of Syria, industrial plants which remain unscathed by the conflict in government-controlled areas are helping keep hope alive. One such factory, located in the Syrian capital Damascus, repairs tanks and other armored vehicles. The day before yesterday Washington sent another batch of weapons to the Syrian Democratic Forces (SDF). This is the third batch of weapons sent to Syrian Kurds since Donald Trump made the decision to assist the Kurdish People’s Protection Units (YPG). The Ukrainian defense industry received another serious blow to its already ailing public image when less than half of the BTR-4 armored personnel carriers supplied to Iraq turned out to be able to move, let alone be deployed in combat operations. The US military in Europe is testing new high-tech camouflage for its armored vehicles during a NATO military drill in Germany. 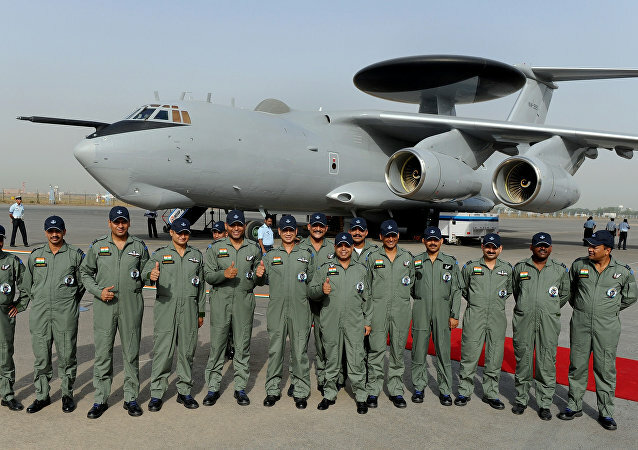 The Indian Air Force (IAF) has decided to purchase 50-60 armored vehicles along with associated equipment in the next one month to provide protected mobility to its personnel during operations. The IAF has said it needs a 5-meter-long vehicle with crew capacity of six for its special forces. 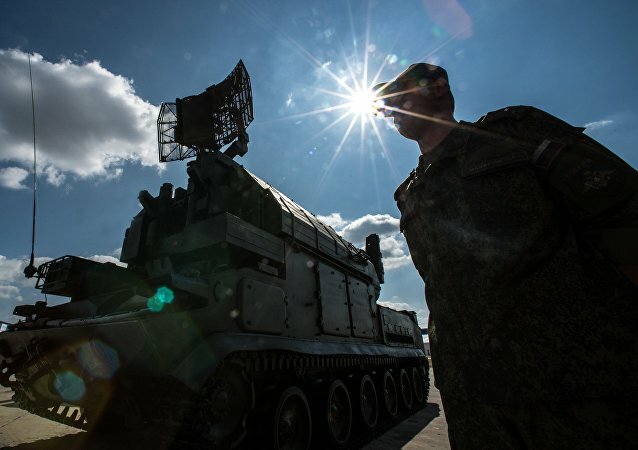 The Russian Defense Ministry is due to get a sophisticated mobile laser system capable of "blinding" aircraft optics and laser GPS-guided bombs and missiles from dozens of kilometers away, according to the Russian newspaper Izvestia. Russia’s legendary GAZ-3308 Sadko truck is winning enthusiastic thumbs-up in Syria with its maintenance-friendly design and great off-road performance. 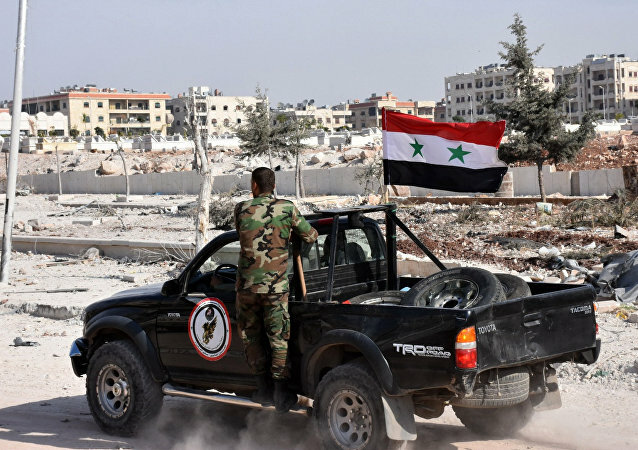 The Syrian Army, supported by the country's National Defense Forces, is preparing for the beginning of a large-scale operation to sweep the militant-held eastern districts of Aleppo, according to RIA Novosti. 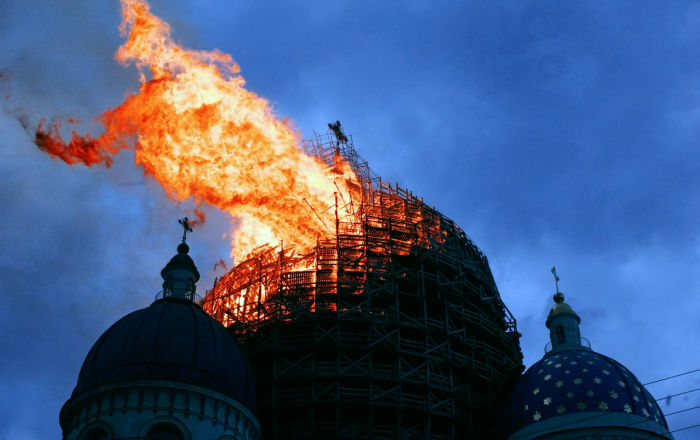 Apart from Russia, China remains the only country in the world which has decided not to modernize its old tanks and is instead focusing on all-new replacements, Russian military expert Vasily Kashin told Sputnik. A new invention recently developed by Russian scientists is expected to make military vehicles' wheels nearly impervious to small arms fire and shrapnel. All advanced Russian armored vehicles will be protected from modern tandem weapons with the help of slat armor, according to the newspaper Izvestia. Another test stage of the advanced Russian multi-purpose anti-tank guided missile system Kornet-EM has been successfully completed, according to the newspaper Izvestia. 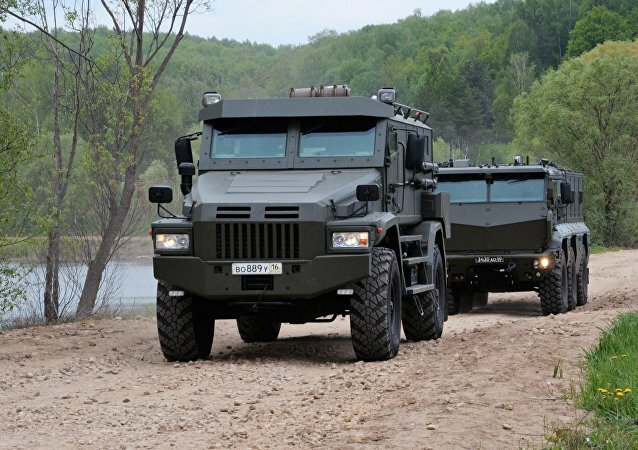 Russian Armed Forces reconnaissance and special forces units will soon be bolstered by new mine-resistant, ambush-protected Typhoon vehicles. The Russian corporation Uralvagonzavod has started the online sale of miniature copies of world-famous Soviet- and Russian-made tanks, according to the company's website.